This is a slightly surreal story, set on an island paradise that was "discovered" by the global 'in" crowd... then abandoned when a disease hit. Now, one islander is trying to find the lost dog of one of the rich former guests so that he can collect the reward money and maybe put his life back together, but a hurricane is coming. It is a thoroughly entertaining story that sneaks in a couple of things for you to think about while you're distracted by the action. This is an unsettling story, but it is well told and the fast-paced plot draws you in. It is set in a dystopic future in which all animals have been killed due to a plague of some sort, which makes it very strange for a bird to show up on our protagonist's front porch. Things just get weirder from there. This is an inventive story with an unusual premise: its characters are all insects, who have organized to survive in a post-human world. The story follows Fig, as a series of bad luck and bad decisions cause him to question his most basic beliefs. The world the characters inhabit is fully-formed and quite believable. This book is the first in a series of novellas, and the ending is a cliffhanger more than an end, but the writing was good enough and the story was enjoyable enough that I am willing to overlook that, and just move on to the next book in the series. This is a quirky coming of age story in which it is not just the main character (Timi, a teenager in Uzbekistan) who learns some life lessons. Timi's village has been the recipient of a gift of camels from a Western aid organization- and the camel-related hijincks are only one source of laughs. There's also a Mexican soap opera dubbed into Uzbek and the general randomness of life. 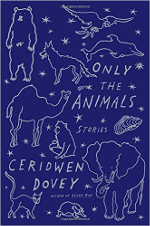 A surreal story about a woman whose boyfriend turns into a camel. His literal transformation and the problems, confusion and distance it creates is a metaphor for their relationship, which is between a white American woman and a first-generation American Muslim man. It has funny moments, and, if you read with the right mindset, sharp insights into relationships both personal and political. A story about a goat. Yes, a goat. But you really want to read it- it is funny, and insightful, and you'll find yourself thinking about it long after you finish it. A satire about the European sovereign debt crisis, CRASH follows the troubles of Jude, an Irish farmer who finds himself at the center of a surreal series of events when the powers that be decide that his roofless henhouse needs to become too big to fail.